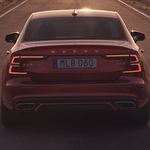 There are many things that make the brand-new Volvo S90 stand out from the crowd. 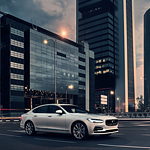 Beautiful exterior styling, a fantastic engine, and best-in-class wheelbase make the Volvo S90 one of the top cars in its class. However, where this vehicle really shines is in regard to its fantastic interior features. At Bill Kidd's Volvo Cars we carry a wide selection of Volvo products, and none are closer to our hearts than the new Volvo S90. If you need a safe, stylish ride to get around in Cockeysville, look no further than the Volvo S90. When shopping for a new vehicle, there are a lot of different features to consider. Power under the hood is a priority for many people. Other people care a lot about the exterior appearance of a vehicle. 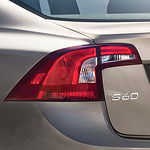 When it comes to the Volvo S60, this vehicle has great features throughout. The interior is really where the vehicle shines. Technology is taken to a whole new level with the Volvo S60. 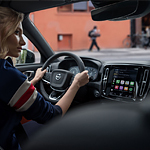 From an easy-to-use infotainment system that has anti-glare technology to a projected gauge cluster on your front windshield, the Volvo S60 is a vehicle worth considering. The entire staff at Bill Kidd's Volvo Cars are excited to talk about the arrival of the Volvo XC90 to our lot. This popular luxury SUV comes with a number of safety features helping reduce accidents on the highway. The Lane-Keeping System utilizes radar technology to scan the surface of the road and be able to detect when the SUV is drifting over lane lines. 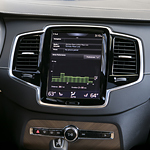 If this happens, the steering wheel of the Volvo XC90 vibrates in order to get the driver to take action to get the vehicle back in between the lane lines safely. 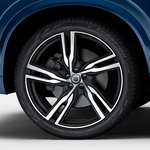 The 2019 Volvo XC60 is a compact SUV that enjoys great popularity among the luxury vehicle crowd. This well-designed SUV protects drivers and their passengers with a number of safety promoting external features. Included in this list are the rear park assist camera system and parking pilot. Smartphone technology is constantly evolving. Automobile manufacturers need to keep up with the trends to cater to connected drivers. Luckily, Volvo has included many high-tech innovations in the new XC40. 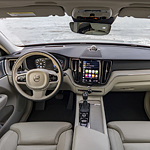 You can get the popular luxury subcompact SUV at Bill Kidd's Volvo Cars with a wireless charging pad and multiple charging ports. Drivers in Cockeysville can charge their mobile devices the traditional way with the built-in USB and 12-volt charging ports. There's a 12-volt outlet and two USB ports on the center console. They're located just under the infotainment center. Whether you're cruising through scenic rural roads or driving on Cockeysville streets at night, the Volvo V90 can help you avoid potential collisions with animals. The popular luxury wagon is equipped with high-tech cameras and sensors that keep an eye out on large animals. 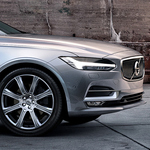 It's standard on all V90 models at Bill Kidd's Volvo Cars. 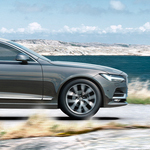 The Volvo S60 R-Design is one of the most popular AWD sports sedans among consumers today. Its sleek look with a high-gloss exterior brings out this design’s personality in more ways than one. The 2018 Volvo XC40 R-Design Trim joins the popular lineup of Volvo compact SUVs. This exciting model combines power, performance, and economy. 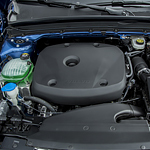 The 248-horsepower engine works with the Drive E powertrain to provide a smooth acceleration curve. This model has excellent mileage, adjustable handling for city driving, and power for the open road. Cockeysville drivers enjoy the impressive styling of the Volvo XC40 R-Design Trim. The shiny black roof and body accents join with the large wheels to provide a distinctive look and a bold stance.